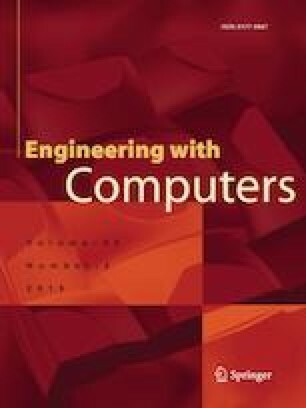 This study intended to use optimized artificial neural network (ANN) for the design of pure cohesive slopes (by means of considering sufficient safety factors (SF) of stability). A total of 630 finite element limit equilibrium analysis were completed to provide datasets of training and testing for preparation of the ANN-based predictive models. The database consisted of 504 training datasets (80% of the database) and 126 testing datasets (20% of the database). To construct an optimized ANN structure, variables of ANN algorithm such as a number of neurons in hidden layer and the number of hidden layers were changed (e.g. with a series of trial and error process). The input parameters that used in the analysis include setback distance ratio (b/B), the undrained shear strength of the cohesive soil (Cu), applied stresses on the slope (Fy) and slope angle (β) while the final output was the value of SF. The predicted results for datasets from ANN models were assessed based on several well-known statistical indices namely, R2, RMSE and VAF. Also, in order to evaluate the performance of predicted network two ranking systems of (1) colour intensity rating (CIR) and (2) total ranking method (TRM), i.e. based on the result of statistical indices, were utilized. The optimal architecture of 4 × 6 × 1 was found for the ANN structure. After the performance of the optimized ANN model, the results are provided as a simple tansig formula which can be used for further application of engineering purposes. In the optimized ANN network and based on R2, RMSE and VAF, values of (0.999, 0.0350 and 99.9978) and (0.999, 0.0379 and 99.998) were found, respectively, for both of the normalized training and testing datasets. This proves the excellent performance of the proposed ANN model in estimating the SF of the slope. As the final outputs and to show the reliability of the proposed ANN formula, a series of optimized ANN design solution charts are compared to a similar example of measured charts.